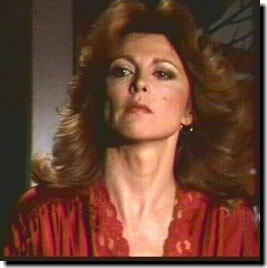 In April of 1978, Julie Grey, played by Tina Louise, was JR's secertary at Ewing Oil. She hid all of his dirty deals from Bobby and Jock. Just after Bobby began working at Ewing Oil full time JR had Julie take a Red File (the most private files) to a safe deposit box. A few weeks later JR and Julie had a romantic night. Julie had always been in love with JR, but JR is anything other than romantic. For her birthday that night he gave her money like she was a whore. Julie had to get even. She called Cliff Barnes, JR's enemy and gave him the information. When the Ewing's found out they blamed Bobby's wife, Pamela Barnes Ewing. She had taken the file to Bobby when he left it at the house. 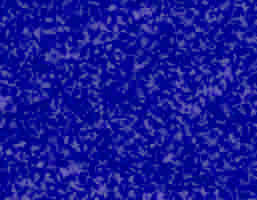 Pam was blamed for the leak of information. Pamela confronted Julie and she confessed. Julie quit and left Dallas. A year later, she returned. This time she was looking for Jock Ewing, JR's father. She located him at the Cattleman's Club and as for forgiveness. He gave it to her and soon the started a friendship that took Jock way from Ellie most days. On one of the lunch dates they ran into Pam and Bobby. Soon the family believed that Jock and Julie we having an affair. Jock soon decided after fights with Ellie that he had to stop seeing Julie. Just after they agreed to not see one another again JR arrived at her door. Julie had been in love with JR and had hoped he would leave Suellen. That never happened, but they did have a short affair. He took her to the Gulf Coast to relive of their past times together. When they returned she saw that he had paid to have her apartment searched. All the information she had on the Ewing's was not found by JR's men. She had hid it well. She called Cliff Barnes offering up the information, but before Cliff arrived at her apartment Willie Joe Garr and Jeb Ames did. They were sent by JR to get Julie out of town. When she refused to leave they became mean. She ran out of her apartment. Before she could get the elevator, they had caught up to her. She took the stairs to the roof of her building. They followed her. 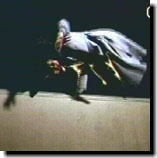 Soon a fight took place on the roof and Julie was pushed to the ground below. She died instantly. 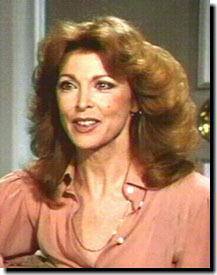 Tina Louise is best known for her role as Ginger on Gilligan's Island from the 1960's. Julie with Cliff (above) and with Jock (below). She did sleep with Cliff, but did not sleep with Jock. Julie and JR (below) when she was a secertary for Ewing Oil. 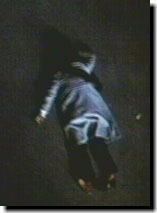 Julie Gray falls from the roof of her apartment building (above) to her death (below). Julie during her return to Dallas (above and below). She is in her apartment where she would lose her life.